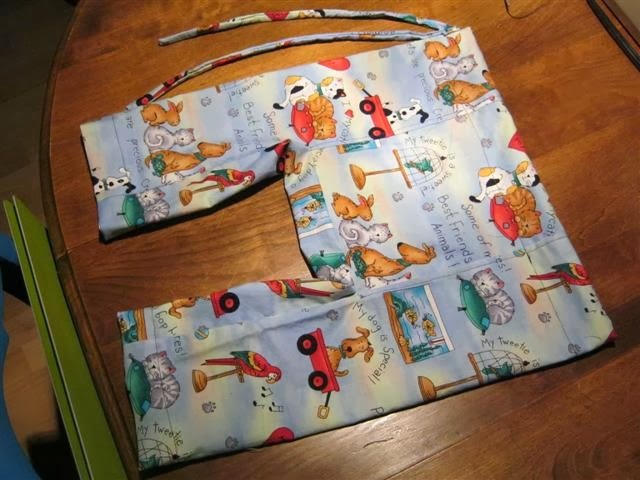 I didn't have a pattern, so simply eyeballed it and then fixed it where necessary (my original estimate may have fit a giraffe baby, the legs were much too narrow...). 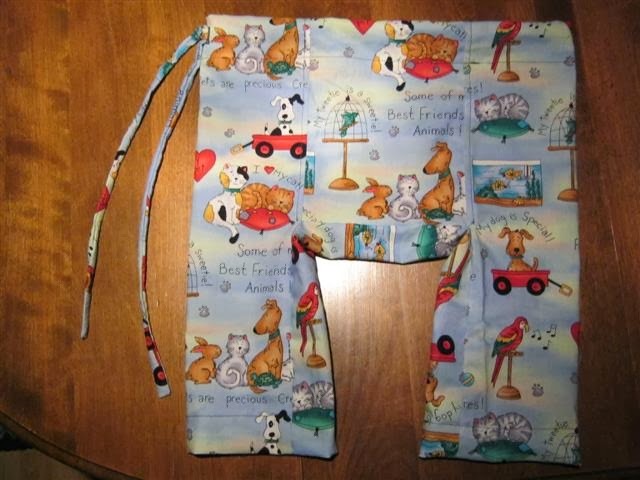 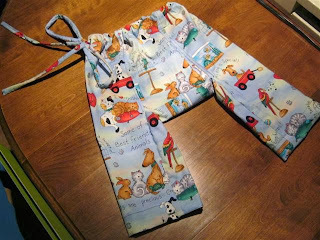 I also used a draw string instead of an elastic so that the pants can grow with the baby. I hope the pants fit, maybe I will have a photo of pants+baby to post!